MANILA - Plans for a movie reuniting Sharon Cuneta and Gabby Concepcion has been put on hold. The former couple was expected to return to the big screen this year under Star Cinema, which would have been their first movie together since 1992's "Tayong Dalawa." Cuneta and Concepcion have agreed to postpone their plans due to scheduling conflicts. An official statement was released by Concepcion through ABS-CBN News' Mario Dumaual on Thursday. 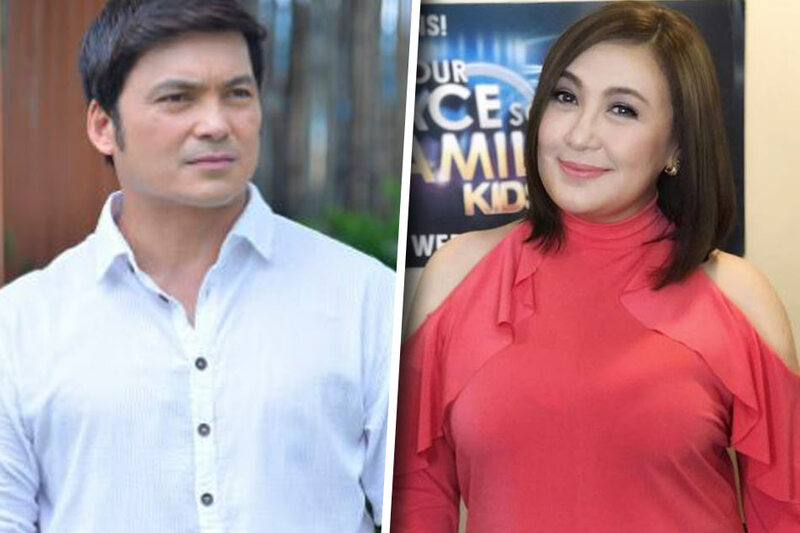 It read: "Gabby Concepcion has always wanted to do a movie with Sharon Cuneta. However due to his tight schedule and current commitments it will not be possible anytime soon. We will study our option in 2018." In an interview last month, Cuneta expressed her optimism that her movie with Concepcion will push through. She added, however, that filming would have to start soon as she has to fly to the US for a show in June. Explaining why she doesn't want to confirm anything, she told reporters: "Kasi it's painful to be let down eh. So I always think, 'Naku, our fans will get disappointed kapag hindi nanaman natuloy.' So I'm just quiet na lang. I'll believe it when we start shooting -- no, when we're halfway through the movie."